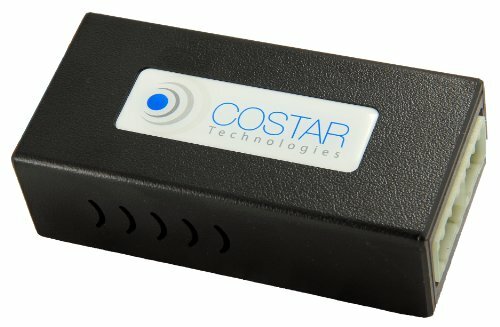 The BLUESTAR is an integrated communications system designed to allow bluetooth communications in your GM vehicle. It works by utilizing the onstar equipment in your vehicle (microphone and mirror keypad) to communicate to a hands free car kit which connects to your cellphone. There are NO EXTRA CHARGES to pay EVER. You use YOUR phone with YOUR minutes as you see fit. Better yet, the BLUESTAR is invisible in your vehicle. There are no wires to run, no speakers to install, no microphone to route, and no ugly chrome keypad glued to your dash. And since the BLUESTAR takes advantage of the high quality sound equipment already installed in your vehicle, the audio quality is far superior to other bluetooth options including car kits and headsets. Make calls, answer calls, mute calls, and transfer calls all using the existing onstar mirror buttons. And if your phone is equipped with voice dialing, you can do it all with the touch of a button. The BLUESTAR device installs in minutes. Simply locate your onstar module, unplug it and plug in the BLUESTAR. That's all there is to it. The BLUESTAR will utilize your steering wheel control to answer calls, end calls, and place calls using your cell phones voice dial feature. The BLUESTAR is designed to work in almost any GM vehicle that has onstar installed from the factory. In general, Cars from model year 2002 and Trucks from model year 2003 are plug and play compatible with the BLUESTAR. *Buick:Enclave, LaCrosse, Lucerne, Rainier, Rendezvous, Terraza, Regal *Cadillac:CTS,DTS-Deville,Escalade,SRX,STS-Seville,XLR, *Chevrolet:Avalanche,Aveo,Camaro,Cobalt,Colorado,Corvette,Cruze,Equinox,HHR,Impala,Malibu,Monte Carlo,Silverado,Suburban,Tahoe,Trail Blazer,Traverse,Uplander, *GMC:Acadia,Canyon,Envoy,Sierra,Terrain,Yukon, *Hummer:H2,H3 *Pontiac:G3,G5,G6,G8,Grand Prix,Montana,Solstice,Torrent,Vibe, *Saab:9-7 Saturn:Astra,Aura,ION,Outlook,Relay,Sky,Vue Stereo streaming requires external aux input to your radio.